Kevin came across Bill and his wife at the Hershey show and just had to have him tell his story about Wilkins RV for all to hear. 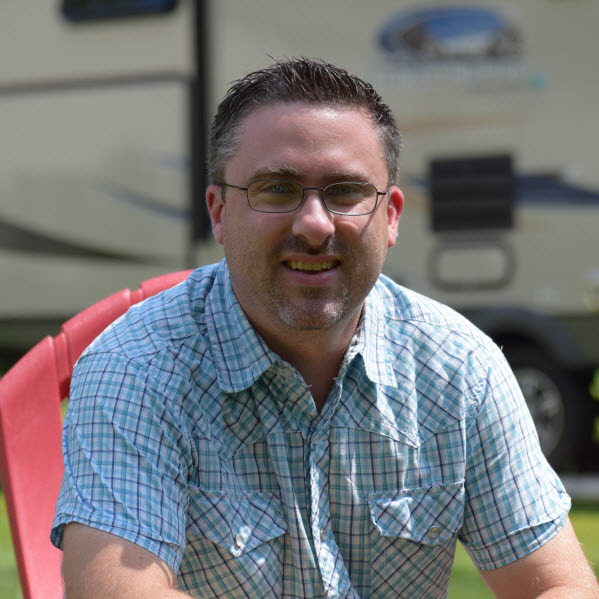 Kevin: Hey this is Kevin and we’re here at the Hershey RV show and I was kind of eavesdropping on this gentleman’s conversation a little bit ago as I was reviewing one of the RV’s. Something that he mentioned was that he really likes Wilkins RV. I’m going to have him just tell you a little bit about his experience and how he feels about Wilkins RV. Bill: Hi my name is Bill. My wife and I purchase and RV off of Wilkins a couple years ago and whenever I see people looking at these things, all I can do is recommend Wilkins. They do an absolute great job on sales and service and if you’re familiar with RV dealers, there’s not too many out there that people will recommend. Wilkins, to us, treated us absolutely fantastic. If we had any issues they were very glad to help us out and take care of it. Whenever I see people I highly recommend them because when we bought our trailer there they treated us like king and queen. We’re very impressed with them. They’re still that way today. Nate: All I can do I recommend them. Kevin: Very good. Well thank you so much. I hope that you guys have a fantastic time at the show. Head on over to WilkinsRV.com for more about them and their dealership in Western NY.